St. Joseph Junior Seminary School, P.O. Box 34, Soni, Tanzania. Soni Seminary Dispensary, P.O. Box 34, Soni, Tanzania. 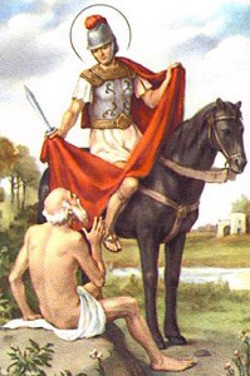 St. Martin of Tours: the patron of our parish, pray for us! 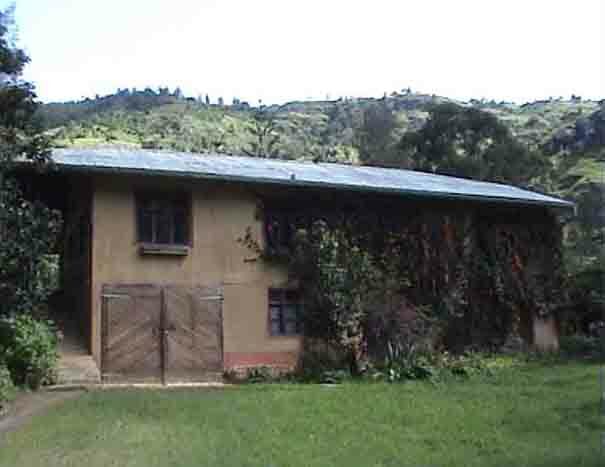 Soni Parish is located in the middle of Usambara Mountains within the Soni Township. Soni Township is located at the folk-roads, which connect towns of Mombo, Lushoto and Bumbuli. It is halfway between all those three towns. The parish has a long history. The Rosminian Fathers had been doing pastoral work in Soni areas way back in early 1960s. In those days Soni was a very tiny center and few Catholic families could be found here. Many people in Soni area both in those days and present are of Moslem faith. A good number of Catholics lived in villages surrounding Shashui area villages. Due to this reason, priests from Gare Parish decided to build an outstation church in Shashui, the church which still exists up to this time. The Catholics from Soni area as well as Shashui area came to worship in this outstation church. Priests from Gare would come to say holy mass and administer other sacraments once or twice a month. The local catechists would fill in those Sundays when priest could not come. Just a mile from Shashui outstation church there was a St. Michael School. The school was an international school for white children whose parents worked and lived around East Africa. The school was owned and run by the Rosminian Fathers. Though there were priests who worked in this school, they didn’t engage themselves with pastoral ministry to the local people in this area. It was Gare Parish priests who extended themselves to do pastoral work to people of Shashui and Soni areas. 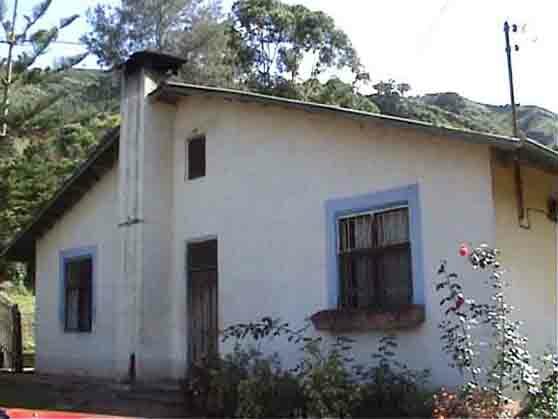 In early years of 1970s, the Rosminians closed the St. Michael’s School and gave the buildings to the bishop of Tanga. In 1975 His Excellence Bishop Maurus Komba, the Bishop of Tanga sent Rev. Fr. Gerald Chilambo (R.I.P) to St. Michael School to open a diocesan minor seminary. The seminary was officially registered in 1976. From that time the bishop has been sending more priests to staff the seminary. Rev. Fr. Francis Kennedy, I.C. the pastor of Gare Parish requested the seminary priests to help with the pastoral ministry of the people of Shashui, Soni, and surrounding villages. The seminary priests accepted this invitation and they have been doing so ever since. Though the seminary priests participated in the pastoral ministry of this area, still Shashui continued to be the outstation of Gare Parish. In mid 1980s the increasing of population in Soni area and its surrounding villages increased so was the population of the Catholics in the area. In 1987 Rev. Fr. Athanas Meixner, O.S.B from Ndanda Benedictine Abbey came into Tanga Diocese with the goal of involving himself in a long term pastoral ministry. The bishop welcomed him and allowed him to do ministry in Soni area which is closer to his Benedictine Community at Sakharani. Fr. Athanas began his ministry with serving pastoral needs of people in Shashui and Kitala areas. As the days progressed he was able to find the land on sale in Soni area. He bought this piece of land and began to build the parish. From 1987 Fr. Athanas began to erect various buildings in this new parish site. He built the temporal church, priests’ house, sisters’ house and many other buildings. Later he built a big permanent church building. In 1989 this new church building was consecrated by Rt. Rev. Bishop Telesphor Mkude and put the church under the patronage of St. Martin of Tours. The consecration of the Soni church led to the elevation of Soni to be the parish of itself. Shashui and other outstations in this area were entrusted to be the outstations of Soni Parish. Fr. Athanas became the first priest in charge of Soni Parish. From the very beginning, Fr. 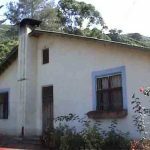 Athanas integrated the priests from Soni Seminary in his pastoral plan and together they have worked to provide pastoral ministry to the Catholics of this area and in its outstations. Soni Parish has been one of the big contributions from the Ndanda Abbey to the Diocese of Tanga. Fr. Athanas’ ministry in Soni area and its surroundings has not only been in spiritual matters. Fr. Athanas has involved himself to the material wellbeing of the people of Soni. He has worked tirelessly to help the local farmers to increase the quality and quantity of the local coffee. He has also been involved in seeking good prices for people’s coffee both at national and international markets. Fr. Athanas has been conscious of working on grain preservation to provide local people with reasonable prices for corn which is a staple food in the area. He has also gotten involved in the water project as well as people’s health by establishing a dispensary in the parish. Fr. 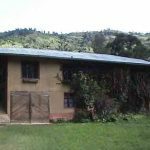 Athanas has involved himself in other diocesan level projects such as contructions of buildings at Soni Seminary, Manundu Parish, and Malindi Parish. Simply, Fr. Athanas has never spared himself to minister to people spiritually and materially. Sisters from the Congregation of Our Lady of Usambara have graced this parish by their ministry from the inception of this parish. The native priest from Soni Parish: Severine Msigiti (2008).